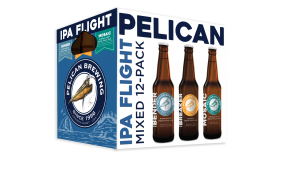 Pacific City, Oregon (April 19, 2018)—Pelican Brewing Company this month delights fellow fanatics with a special pack of IPAs to explore a delicious spectrum of hop flavors and aromas. The new Pelican mixed IPA 12-pack showcases a medley of unique IPA styles with Beak Bender Hoppinated India Pale Ale, Beak Breaker Double India Pale Ale and Mosaic Single Hop India Pale Ale playing lead roles—now available on the craft beer aisle. 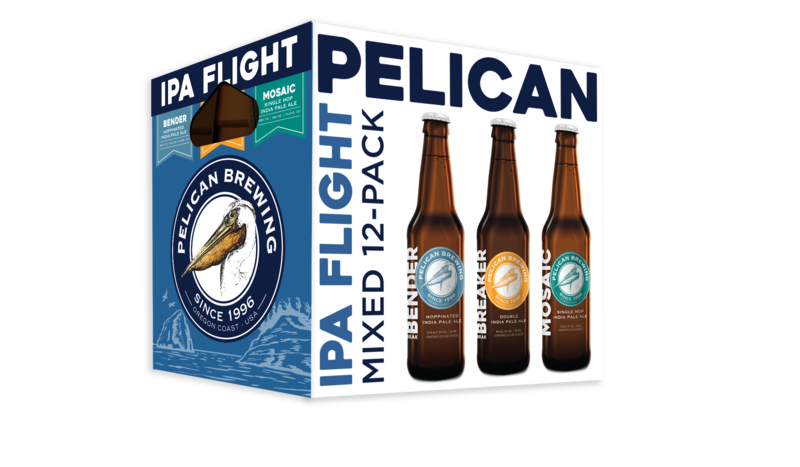 Pelican’s first-ever mixed IPA 12-pack is now available indefinitely on the craft beer aisle of grocery stores and specialty shops. Cheers!